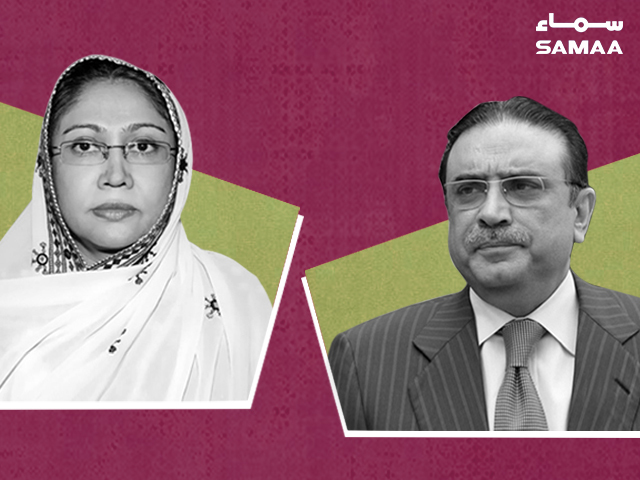 A banking court in Karachi awarded former president Asif Ali Zardari, his sister MPA Faryal Talpur and 11 other people obtained an extension in their pre-arrest bail in a money laundering and fake accounts case till March 5. The court also adjourned the hearing of Omni Group head Anwar Majeed and his son AG Majeed’s bail pleas till February 20. During the hearing, the investigation officer was directed to present the final charge sheet in the case or a request to transfer the case. The FIA prosecutor informed the court that the records were in the process of being transferred and talks are under way with the NAB authorities. The judge asked the investigation officer what progress had been made in the case so far, to which the officer replied that that they have solid evidence against the suspects. Majeed’s lawyer Farooq H Naek said that the Supreme Court had ordered that an investigation be conducted, not that a case be filed. If a case can be made, it should be filed, he said. Two months’ time was given and NAB has not been barred from filing a reference, he said. After hearing the arguments, the court granted Zardari, Talpur and the 11 others an extension in their bail and adjourned the case till March 5.